As oil prices fell again on Tuesday, down to around USD 45 a barrel for North Sea crude, business and labour leaders in Northern Norway are still demanding that the government open up new oil and gas fields in the Arctic. Exploration and production may not be profitable at today’s relatively low prices, but the leaders are still lusting after the economic boost that oil and gas can bring. Employers’ organization NHO and trade union federation LO are often at odds with one another, but newspaper Dagens Næringsliv (DN) reports that leaders of both groups in Northern Norway are united in their effort to get oil industry prospects back on track. 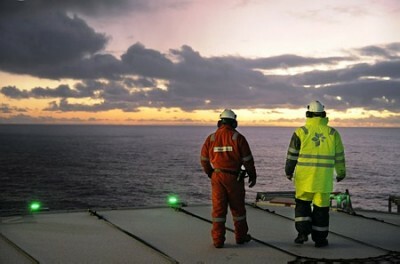 They’re frustrated that the Norway’s conservative minority government coalition postponed the 23rd round of oil and gas field licensing just before Christmas, largely because of disagreement over how far north and east the oil industry should be allowed to drill in the Barents Sea. The two government parties, the Conservatives and the Progess Party, have an agreement with their two small support parties in Parliament, the Christian Democrats and the Liberals, that aims to prevent oil exploration that’s too close to the Arctic ice. The ice belt is in constant movement and changes with the seasons, but experts view it as an extremely important area in terms of biological diversity. The Polar Institute and the state environmental agency Miljødirektoratet want to remove several promising exploration blocs from the 23rd licensing round, to protect the Arctic ice. Both of the two small parties are heeding their advice. “We should listen to professional environmental expertise,” Knut Arild Hareide, leader of the Christian Democrats told Dagens Næringsliv (DN) on Tuesday. His county leader in Troms, Helga Marie Bjerke, agrees. “We have to agree with the government (the Conservatives and the Progress Party) on how far north we dare to unleash the oil industry,” Bjerke said. Ola Elvestuen of the Liberal Party also told DN that the four parties need to agree “on how to define where the ice edge is” before licensing can proceed. That’s left both NHO and LO leaders, along with oil industry lobbyists, blaming the two small support parties for the licensing delay. The conflict is not unlike that which raged for years over whether to allow oil exploration and production off scenic Lofoten and Vesterålen farther to the south. That battle pitted the oil industry, business and labour groups against environmentalists, tourism and Norway’s important fishing industry. It has been suspended but not settled. Many environmentalists and boosters of alternative, renewable energy have speculated that the recent fall in oil prices will be good for the environment because oil companies won’t be able to justify the high costs of developing remote, often deep-water offshore Arctic fields at current prices. They’ve cut in half just since last summer while costs keep rising, and many projects may literally be put on ice because they’d be unprofitable. DN cited a new study for Petro Arctic by analysts at Rystad Energy, however, that indicates the disputed fields in the 23rd licensing round can be profitable at an oil price of USD 60 per barrel. That’s still quite a bit above current prices, but other industry analysts note they can rise as fast as they fell. The fields up for grabs, part of the area that became Norwegian territory as part of an historic agreement with the Russian government in 2011, are believed to hold huge quantities of oil and gas worth several hundred billion kroner. That’s why the industry remains keen to vie for them in a licensing round that’s been called one of the most promising and important in recent years. Tord Lien, the government minister in charge of oil and energy from the Progress Party, has said he’s confident the licensing round will proceed “in the near future.” As he told foreign correspondents in Oslo late last year, he believes oil companies will remain interested in tapping into Norway’s offshore oil and gas fields despite the fall in oil prices. The mobilization in Northern Norway over the postponed licensing round confirms that. Arvid Jensen, chairman of NHO Finnmark, complained that the government’s postponement and possible reduction of fields available “creates uncertainty among international oil companies over whether they can rely on Norwegian authorities.” Jensen thinks it can also threaten national interests. Environmentalists’ hopes of replacing oil and gas with alternative forms of energy, however, may be too high, according to the chief economis of DNB Markets, Øystein Dørum. He threw cold water Tuesday on speculation that falling oil prices and a slowdown in oil activity will lead to a burst of alternative energy projects as Norway seeks to diversify its economy away from oil.